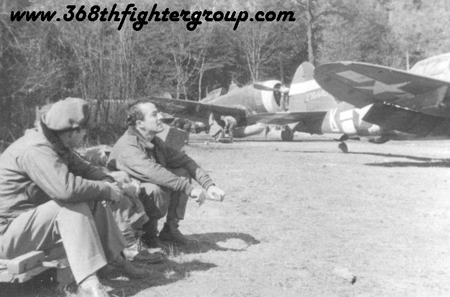 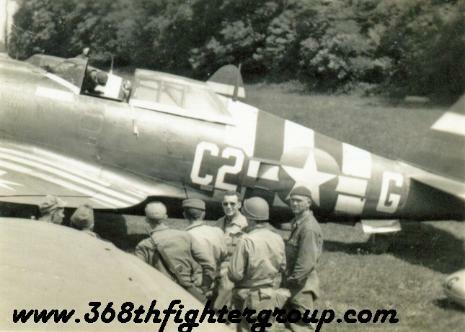 High resolution images for approved publication or for members of the 368th FG Association are available upon request. 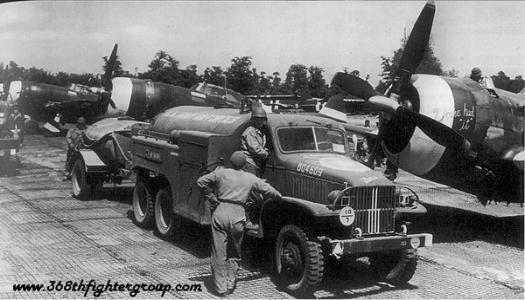 sorties on this famous day. 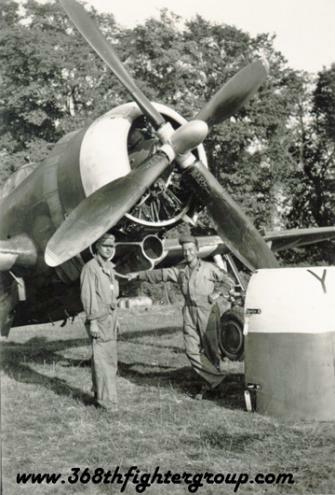 A-1 & a few days later A-3 to re-arm & re-fuel their P-47's. 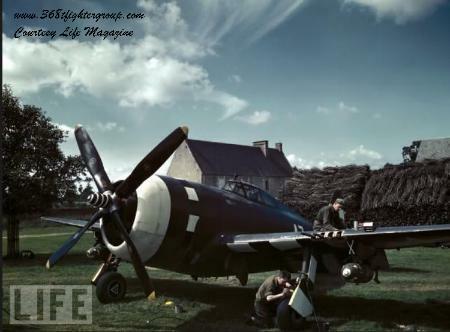 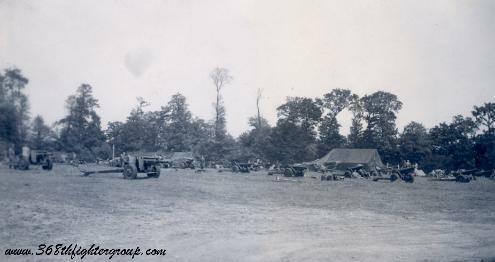 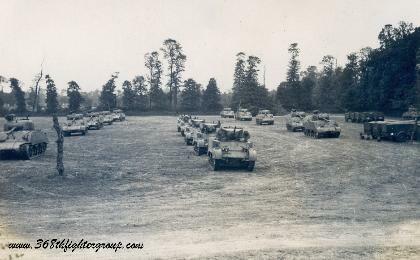 they moved to A-40 near Chartres, France. 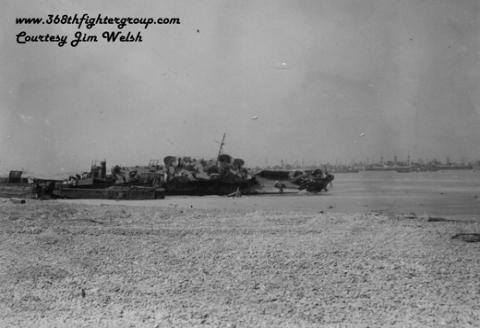 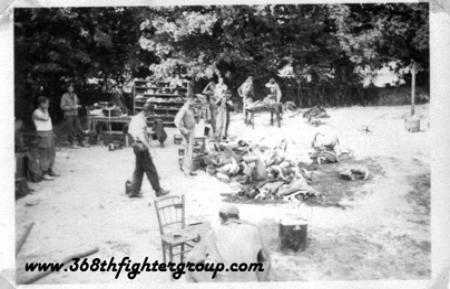 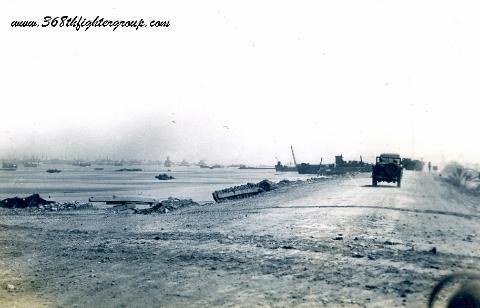 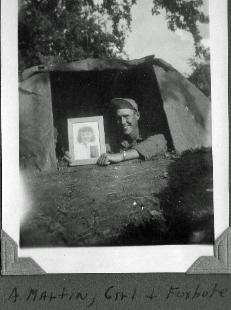 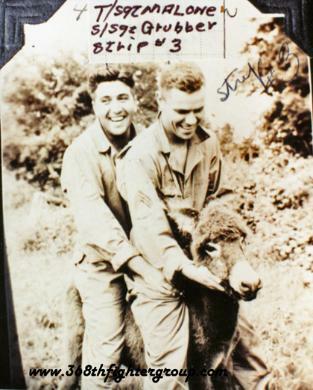 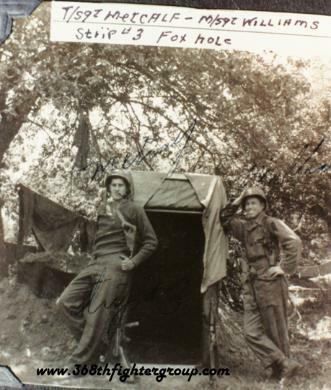 Photos taken by 368th FG personnel after landing on Omaha Beach just days after the invasion. 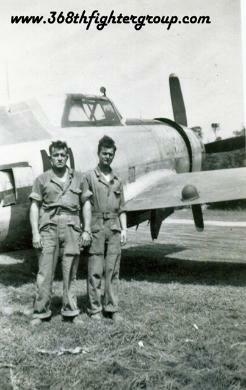 Lt's Bauer & Barker waiting for their next mission at A-1. 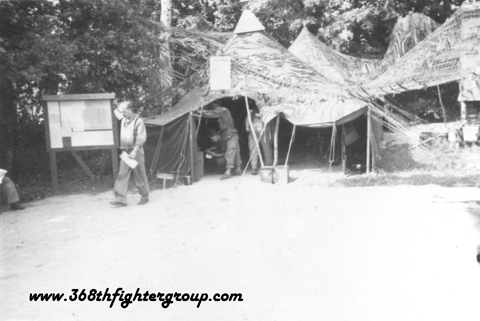 Photos of the 816 Engineer Aviation BN during construction of ALG A-3. 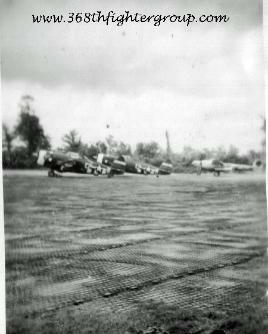 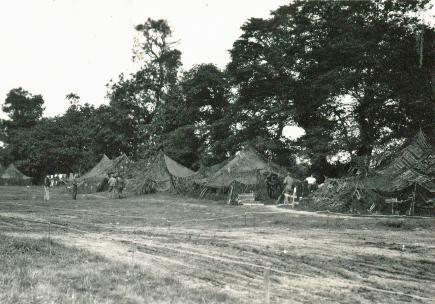 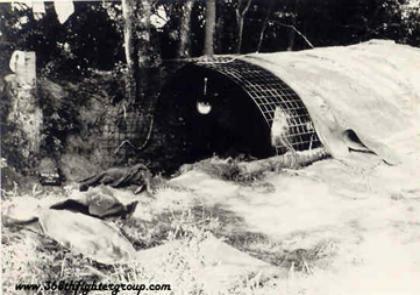 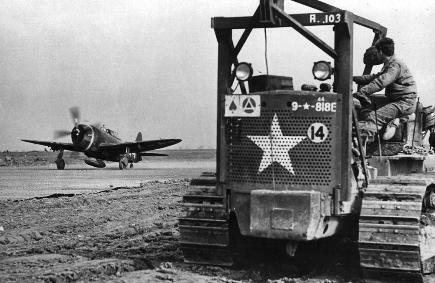 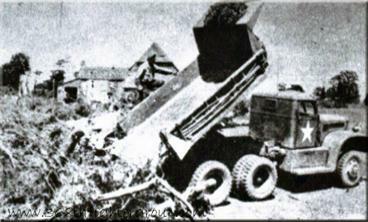 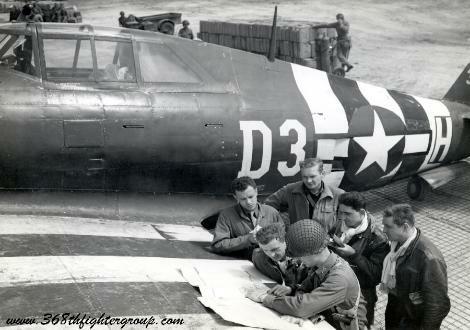 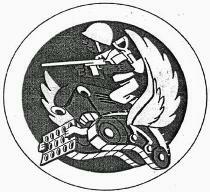 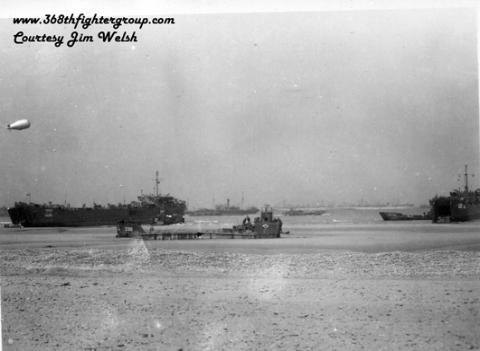 The 816th EAB completed A-3 on 14June44. 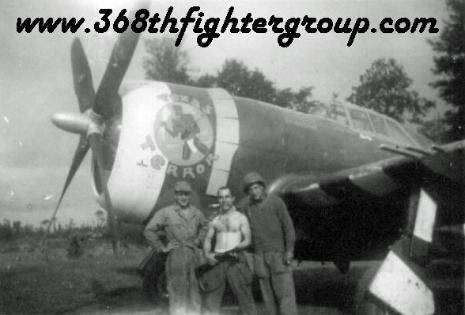 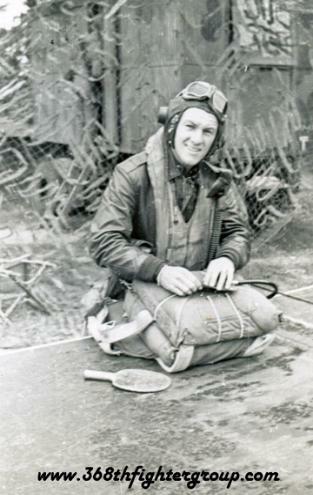 The 368th FG immediately began using the strip. 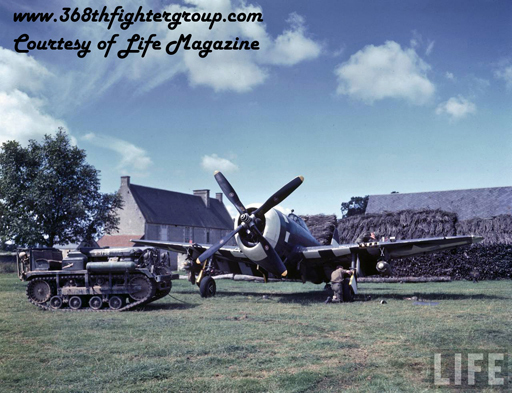 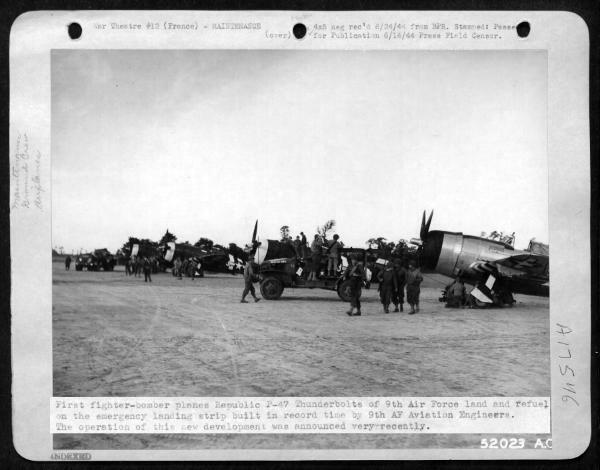 Left: P-47's of the 397th FS refuel & rearm at ALG A-1. 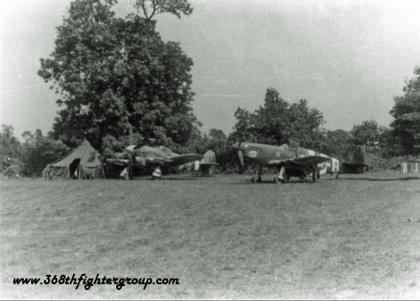 Right: British Typoon and USAAF P-51B at ALG A-3. 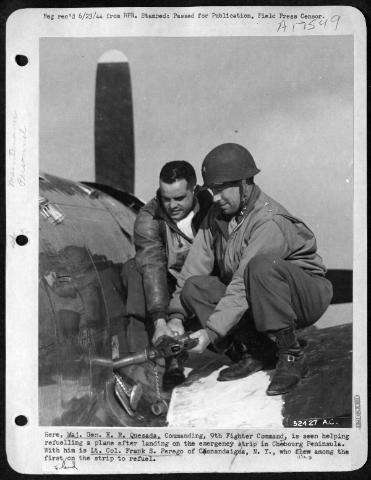 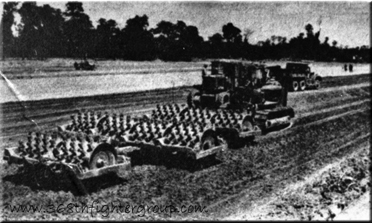 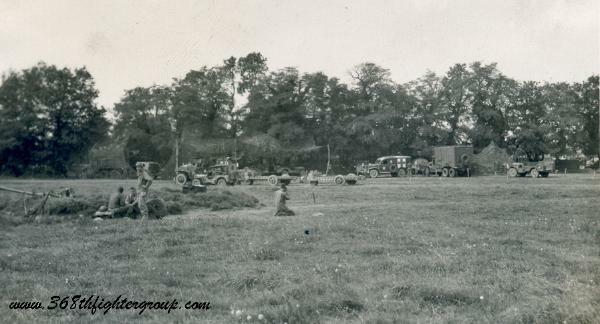 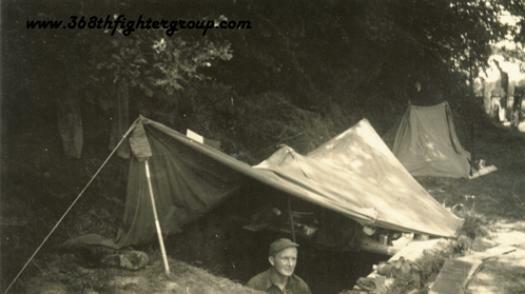 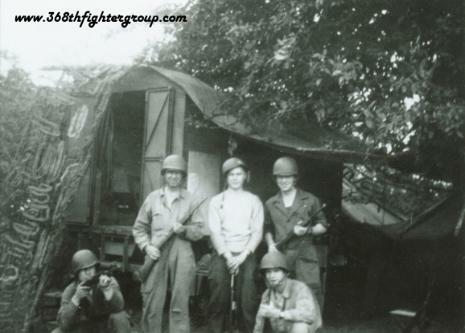 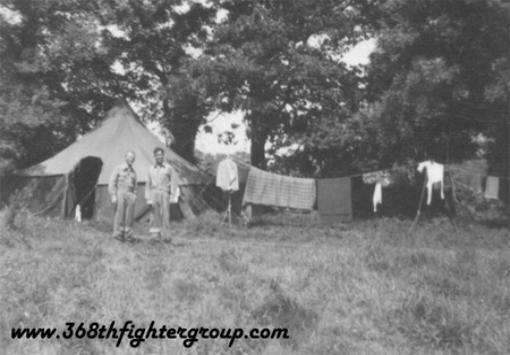 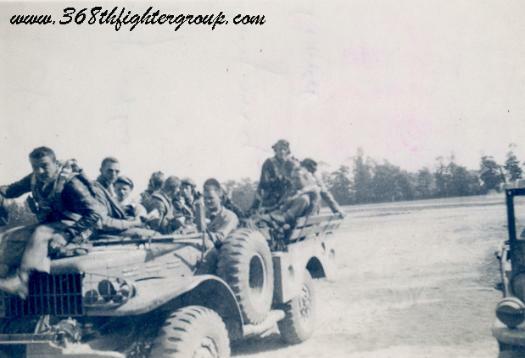 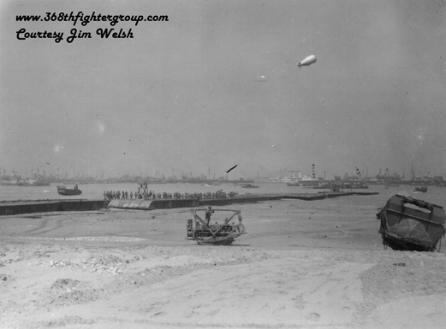 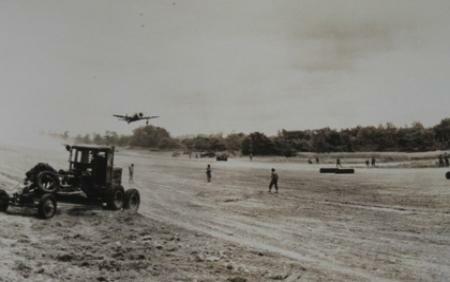 Ground crews were trained to service all types of Allied aircraft. 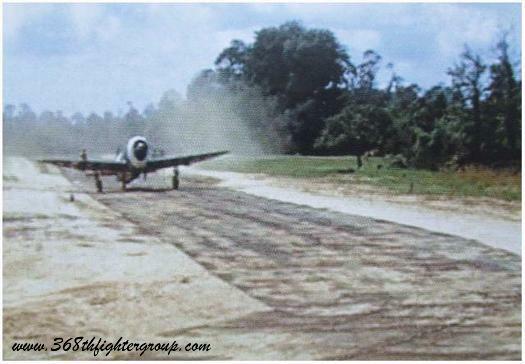 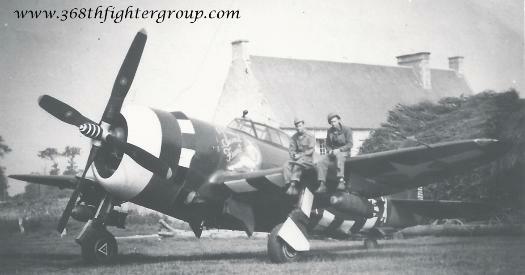 Top: 9th AF P-47 at ALG A-1. 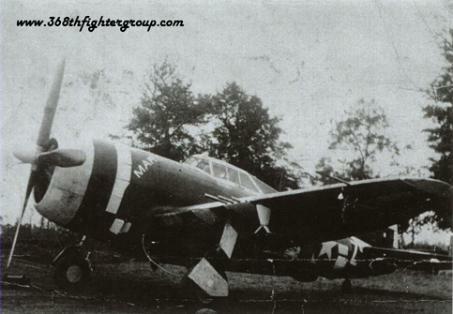 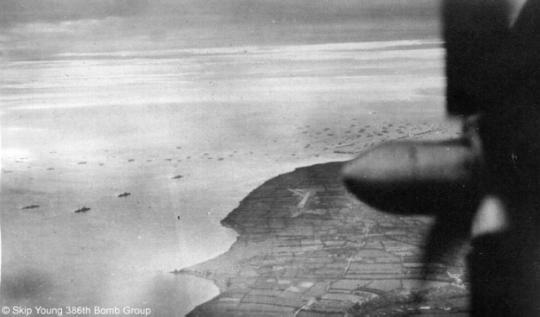 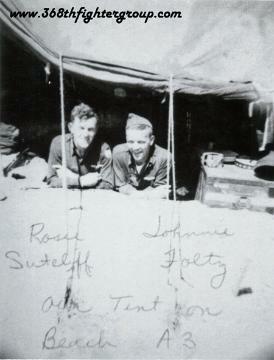 Right: ALG A-1 as seen from a B-26 of the 386th BG. 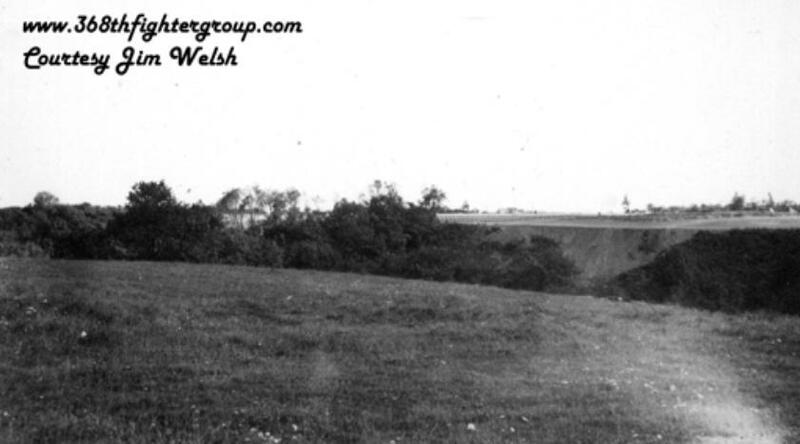 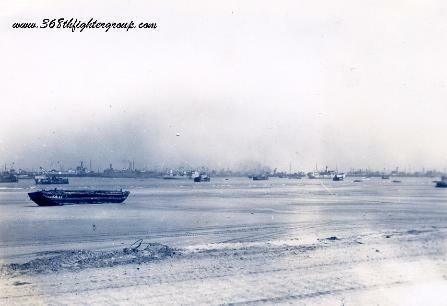 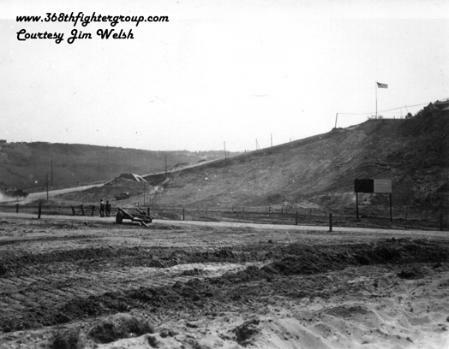 the close proximity of the German line.